Viscoelastic dampers reduce vibrations by converting kinetic energy into heat thus damping the motion of the system. Damping, as a method to reduce unwanted vibrations, is most effective in cases where the vibratory system is excited with a frequency close to its natural frequency. 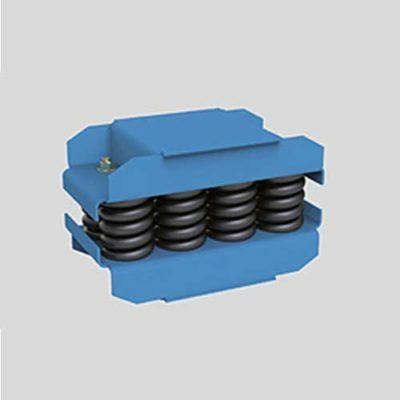 VICODA’s viscoelastic dampers are designed in a way that they can be used in a wide frequency range. For example in an industrial piping system within a power plant due to the operation of a pump. Whenever the piping systems cannot be isolated from the source of the vibration, damping might be an adequate measure to reduce the motion of the piping to an acceptable level. These can be induced e.g. by a forge hammer. In this case, the damping device needs to absorb a significant amount of energy in a very short time, so that the system comes to rest as quickly as possible allowing the start of the next operation of the hammer with minimum recovery time. Viscoelastic dampers may also be used in connection with spring devices e.g. for the base isolation of a heavy equipment foundation in plant installations. In this case, they will help to reduce the high oscillations raising while passing through the resonance range in the start-up phase of the equipment. 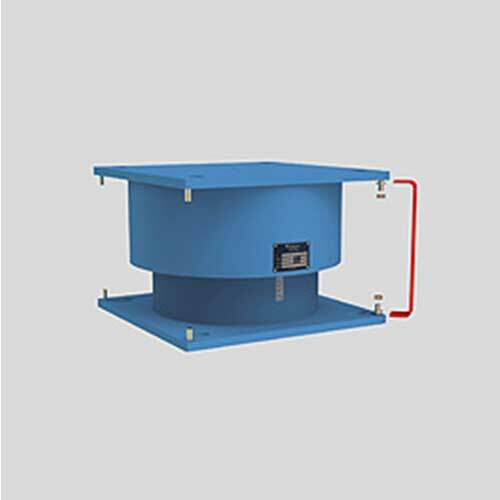 VICODA viscoelastic dampers consist of a bottom housing that is filled with a viscous fluid. The piston which is connected to the top plate can move in all directions within the housing. 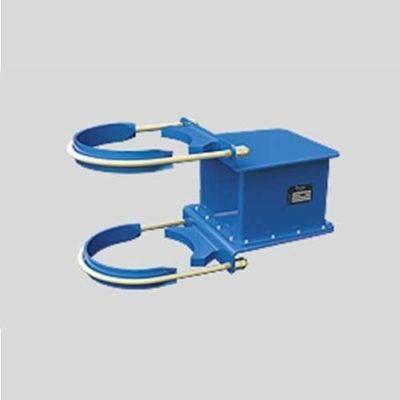 Either top or bottom plate of a VICODA viscoelastic damper can be connected to the vibrating system. The respective other plate has to be mounted on a rigid abutment. Because of this viscoelastic dampers do not statically support the system they are connected to, but they allow that by movement of the piston within the viscous fluid kinetic energy is dissipated i.e. transferred into heat. This free movement of piston / top plate against housing / lower connection plate makes it possible that viscoelastic dampers can follow thermal displacements (travel) of the system they are connected to. In addition, they allow damping of vibrations in all six degrees of freedom i.e. all linear and torsional vibrations. The model of the ideal damper is a simple but in most cases an adequate way to describe viscoelastic dampers. In this model the damping force that the viscoelastic damper develops to counteract the movement of the piston, is directly linked to the velocity of the piston. 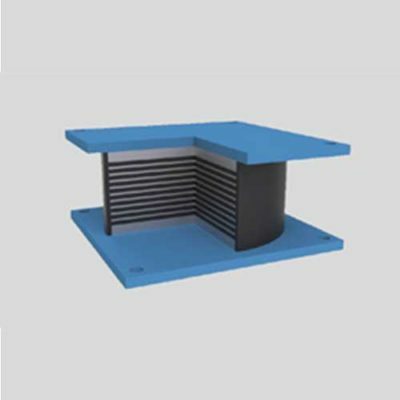 Viscoelastic dampers type VD with bitumen based fluids, allowing high damping parameters (up to d = 554 kNs/m at 5 Hz) for operational temperatures +20°C to +80°C in a limited temperature range of ∆ T=10°C. Viscoelastic dampers type VM with polybuten based fluids, allowing medium damping parameters (up to d = 416 kNs/m at 5 Hz) for operational temperatures from -10°C to + 40°C. Viscoelastic dampers type VL with silicone oil based fluids, allowing lower damping parameters in a wide range of operational temperatures from -30°C to + 110 °C. Viscoelastic dampers can be installed in many different ways. VICODA can also provide special connection elements in order to facilitate the retrofit on existing piping systems or other components. For further information, please download our technical brochure or contact us.